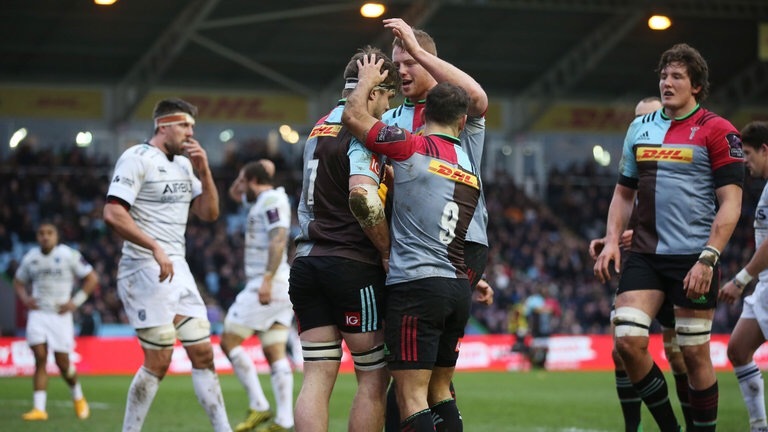 The Cardiff were cruelly denied an extra bonus point by a late Ben Botica penalty as Harlequins maintained their perfect record in Pool Three, despite a brave second half comeback that saw us score four tries in 30 minutes to gain a try bonus point that was so desperately needed. There was two late blows before kick-of even for Cardiff as we were forced into two late changes to the starting XV, and a further change on the bench. Josh Navidi and Tom James were withdrawn due to suffering from a stomach bug, Navidi replaced by Ellis Jenkins to make his 50th appearance, while Blaine Scully came onto the wing for James. Also, Jarrad Hoeata could not take his place amongst the replacements due to an ankle injury, so Lou Reed was named having recovered from the same illness as Navidi and James. Reed was joined as a substitute by Cam Dolan after Jenkins was bumped up to the starters. Things did not go well at all in the first half. The defence could not cope at all, as Harlequins made break after break and our scramble defence was all over the place. It’s hard to remember a time when Quins didn’t make it over the gain line in all honesty. Their scrum was dominant as we saw early on leading to Rob Buchanan scoring the first try, as was their set piece in the second try, although Lloyd Williams and the forwards watching Jack Clifford run past them from the back of a maul was extremely poor. The aforementioned poor defence in midfield meant Quins were up in the red zone almost every time they attacked, and the discipline they showed in going through the phases was impressive. In fairness to Cardiff the last gasp defending on the line was good, but there was no way they could keep the home side out and soon Marland Yarde was over. Mike Brown could have wrapped the bonus point up earlier, but a mixture of Alex Cuthbert and Tau Filise forced him to drop the ball as he reached for the line. In the end it was down to a bit of disappointing refereeing from Andy Brace who gave a penalty against Ellis Jenkins despite the flanker being clearly on his feet over the ball. Nick Evans went to the corner, took the ball from the top of the resulting lineout and put in a delightful grubber kick for Ross Chisholm to gather. Four tries, four conversions, 28-0 lead and a bonus point at half-time. Cardiff hadn’t been so bad with ball in hand, and really should’ve been on the scoreboard. Lloyd Williams turned down a kick-able penalty for a tap-and-go, and there were countless visits to Harlequins 22, only for unforced errors to cost us, with dropped passes or stupid penalties conceded. A big kick up the backside was required, and whether it was Danny Wilson, his coaching staff or the senior players who delivered it, it worked. We flew out of the traps second half, as first Dan Fish tore up the right wing close to the try line but lacked support. This was only a temporary blip as a knock on gave us the scrum, we went through the phases and got right up to the try line, before banishing the red zone demons of the first half when Cory Allen cut a perfect line to get the ball from Lloyd Williams and get under the posts. Patchell converted and five minutes later we were back in the Quins 22 after Dillon Lewis and Kris Dacey got over the gain line. Lloyd Williams picked the ball up to snipe from the fringes, and picked out a beautiful flat miss pass to Dan Fish in the corner. 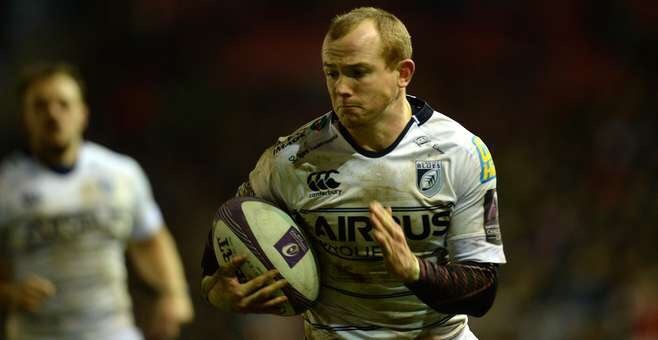 28-12 and two tries for Cardiff, the bonus points were in sight. 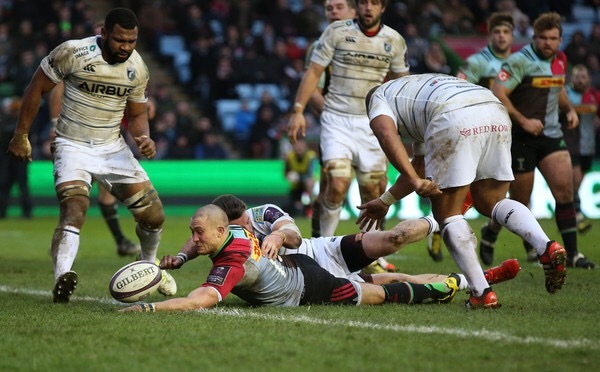 Harlequins did extend the lead by three points through a Nick Evans penalty but all the play was with Cardiff. Returning replacement Gareth Anscombe picked out the hard running Rey Lee Lo, but the Samoan centre hesitated before hitting the gap made by the miss pass, resulting in him having to reach too far for the try line and losing the ball forward. Next up was Rhys Patchell going close from full-back, moved due to Anscombe’s introduction, but despite the departing back’s pace he was run into touch by Yarde. It was left until the 68th minute for the next breakthrough and down to a moment of inidvidual brilliance. Anscombe put us into the corner from a penalty, but scruffy ball off the top of the lineout scuppered the attack. Or so we thought. Next thing Lloyd Williams popped up, claimed the loose ball, turned on a sixpence and weaved through the perplexed looking Harlequins forwards for our third try. Patchell’s excellent conversion made the scores 31-19 and we were five points from a losing bonus point. With the Twickenham Stoop getting agitated Cardiff were only on the up, and the fourth try to put us in position to get two bonus points came five minutes later. Anscombe found the on rushing Patchell cutting a perfect line from full-back and his flat pass again put Fish, celebrating signing a new contract in the week, over in the corner for his second of the afternoon. A fantastic turnaround in the second half from Cardiff. Unfortunately, the day was to end on a slightly sour note as Ben Botica, son of former Llanelli fly-half Frano, kicked a penalty with the last play of the game to take away one of our bonus points. However, it is important not to let that knock the positivity out of the team. We got the one bonus point we so desperately wanted, we kept the points difference down to a minimum, and we beat a very high quality Aviva Premiership side 26-6 in the second half. If we had played like that for even 20 minutes of the first half then who knows what might have happened, but we can’t dwell on that now. The lessons must be learned from the first half, the positives taken from the second half, and we can go and smash Calvisano on Friday. Keep an eye out for all the permutations next weekend can bring as it requires it’s own post! Come on Cardiff! !